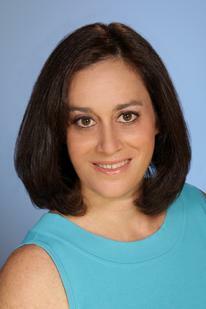 Diane Dolinsky-Pickar is the author of the popular blog site www.MoJo40.com. As a contemporary digital marketing and social media expert, she is committed to helping individuals in the midst of a career transition uncover and rekindle their lifelong passions. Diane offers tips and tricks on how to best leverage the right technology hooks to allow the best fit job to find them, or create “the big next” as entrepreneurs. With indefatigable creative energy (her smartphone sign-off, in fact), Diane’s advice is pragmatic and actionable, particularly targeted for those over age 40 who may feel they have become invisible in the fast changing business world. Tips and Tricks to Fast Forward Your Career: Be careful not to overlook opportunities that come to you in a form that is unfamiliar. In a tight job market, positions that are posted may not even be real, yet firms are on the lookout to add talented experts where a problem needs to be solved. Freelance work can be a wide open door to help solve problems, establish your reputations, and get access to broader opportunities. Uncovering these doors calls for relationship building and being much more creative to connect with people, and while you may know a subject or process in depth, look 20 degrees to either side to incorporate trends and angles to be more competitive. Strategies for Entrepreneurship Encore Careers: Later-in-life entrepreneurs can bring an ability to connect the dots of ideas to execution based on true personal career experience. Starting with something they are good at already, the “great idea” is often the result of listening to client or customer needs and constantly recalibrating. There is a prejudice in the marketplace, however, that mid-career people may have slowed down on learning the latest and greatest innovative technologies. Step up and try them out! Dropbox.com, YouSendIt.com, Quickbooksonline, Basecamp.com, Square, Mailchimp, Mobile Hotspot. Like any age or career season entrepreneur, regardless, knowledge, skills, attitude and habits are necessary to stay the course. You are TOO Blessed to be Stressed: There are times when we need to pick our heads up from despair, frustration, or stress and realize how very fortunate we are. Diane is navigating both personal and professional change right now, and heard the refrain “You are TOO blessed to be stressed” multiple times, loud and clear during incidents tied to Hurricane Sandy. Her hometown outside of New York City was hit hard, yet a renewed sense of community and connection brought out the best in people and helped her adjust and be positive about a more promising future for herself and her family. An important message as we head into the holidays! 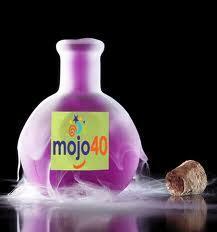 Six MoJo40 Lessons Learned: Diane launched www.mojo40.com two years ago to help others ignite their career shift. Low and behold her own entrepreneurial journey flourished, in hindsight powered up by six powerful lessons learned: a) Do not be afraid of technology, b) Choose your network carefully to circumvent age bias, c) Things don’t always happen as you plan it (fortunately), d) There is dignity in work, e) There may not be a job in the area you continue to look, so reorient, and f) Always be on the lookout for natural partnerships.